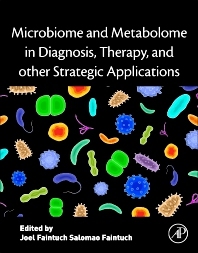 Microbiome and Metabolome in Diagnosis, Therapy, and Other Strategic Applications is the first book to simultaneously cover the microbiome and the metabolome in relevant clinical conditions. In a pioneering fashion, it addresses not only the classic intestinal environment, but also the oral, gastric, lung, skin and vaginal microbiome that is in line with the latest investigations. Nonbacterial microbiomes, such as fungi and viruses are not overlooked, and the plasma microbiome is also discussed. As plasma, brain, placenta, tumor cells, and other sterile fluids and tissues, are increasingly recognized to potentially host a microbiome, albeit a limited one, this is a timely resource. The book's editors were fortunate to have the input of renowned collaborators from nearly all continents. This is truly an international effort that brings the latest in the field to students and professionals alike. 30. Gut Microbiome in the Elderly Hospitalized Patient: A Marker of Disease and Prognosis? Joel Faintuch is a gastrointestinal surgeon, and former International Guest Fellow of the American College of Surgeons. He is Honorary Fellow of three Surgical Societies, and has served as Visiting Professor at the University of Maastricht. He was the pioneer of Parenteral and Enteral Nutrition in Brazil and South America, and a founding member of three medical societies. In the last years, his focus has been in the Intestinal Microbiome. Joel Faintuch is the author of over 250 articles in peer-reviewed journals, along with 10 books, three theses, and over 200 chapters in books, and other publications. Salomao Faintuch is the Clinical Director of Vascular and Interventional Radiology at Beth Israel Deaconess Medical Center and Harvard Medical School. He has authored more than 50 articles in peer-reviewed journals, along with 5 Society Guidelines and Standards of Practice and 3 textbooks. He is a Radiological Society of North America Research Scholar, serves in eight national society committees, and is member of the Editorial Board of three international journals.